WOW - "Godliness in Greenery"
Happy Ganesh Chaturthi and Teacher's Day people! Both these days are filled with happy vibes and remind us of the good teachings that have been a part of our lives since childhood. At the beginning of the festive season, we asked bloggers to write about how we can go green in festivals without compromising on the fun factor with the WOW prompt "Godliness in Greenery". The result is that bloggers came forward with some brilliant ideas about preserving the beauty of nature amidst festivities. Here are the best WOW blog posts this week. Ganpati Bappa Morya! Thank you for all the wonderful posts this weekend. We wish you a happy, blessed and green festive season! 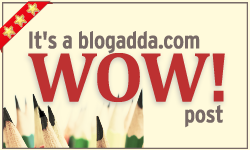 Here's the WOW badge that you can put up on your blog proudly! Thanks for featuring my post. How do we get the Wow Badge? 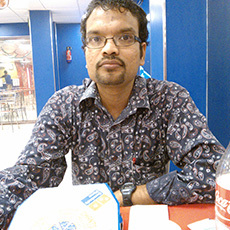 Thanks Blog Adda. How to get WOW badge? Save the WOW badge as an image on your system and post it on your blog with the link to this forum, or the featured post.